Recognition is the art of actively looking for efforts that make a difference every day. Our inspiring Top 40 Honourees, both Over 40 and Under 40, are forces to be reckoned with and their contributions to the community important ingredients in our area's ongoing success. The Top 40 program, presented by BDO, celebrates remarkable individuals in our community. 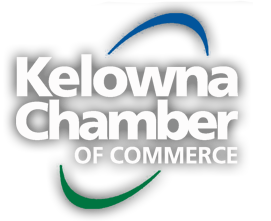 Partnering with the media in the valley, the Kelowna Chamber highlights new Honourees between February and June 2019. Each year the program alternates between Over 40 and Under 40 Honourees. 2019 is an "Over 40" year. The Featured “Top 40 Over Forty” selected individuals are featured weekly between February and July. Nominations will be reviewed monthly between January and March. Submit your nomination now (You may self-nominate). The Top 40 over Forty Review Committee will begin the selection process in January. Note that the Program is limited to individuals in the Central Okanagan who are over the age 40 years of age as of January 1, 2019. If a nominee has been previously recognized by this program, they are not eligible to be recognized again. The Top 40 Honourees will be highlighted weekly in the Kelowna Capital News; in Okanagan Edge; on Bell Radio AM1150; and on social media (Kelowna Chamber and BDO LLP). Click below to view our past Honourees.